Web 2.0 Design | BrainSoft Software (P) Ltd. The static nature of web has changed over last decade and the arena of web 2.0 has proclaimed the doorway of cooperative and social web applications. Well heeled Internet applications with vast experience enable us to understand complex business logic and develop innovative web development solutions for it. 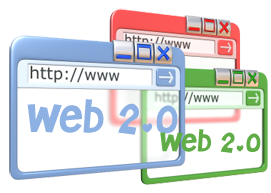 Web 2.0 Development is done using technologies like AJAX, jQuery etc for better interaction, usability and for increasing speed. Our team is capable of and corresponding server implementations using server side languages like PHP, Ruby on Rails etc. Our very well experienced panel of experts can offer you web 2.0 development services that you would have never live through before creating widgets, social networking websites, blogs, wikis and Intranets using web 2.0 development tactics.